When Will You Start Using Marketing AI Software? Artificial Intelligence Marketing Software or AI Marketing Software will soon change and improve how we do digital marketing. If you’ve given up on digital marketing and content marketing due to costs and ROI, AI marketing software could revive your interest. And it could seriously improve your advertising to sales return. It’s wise to spend a little time understanding its many benefits which are listed below. It won’t displace your marketing staff, yet it will make them a whole lot smarter and capable. Minimizing waste, learning from mistakes faster and growing your sales conversion rates are just a few practical benefits. Why is AI Marketing Software So Valuable? AI software solutions can learn about each visitor and serve up an incomparable content experience. The software can do everything a human can do, but much faster. It can even predict the future success of a content piece. Let’s take a good look at AI and then in my next post, we can explore how we can use AI marketing software to really ramp up your content impact and engagement — to build your sales. Since the status quo in digital marketing is about to end, I’d like to introduce you to AI marketing and to the features and benefits of the main AI software packages. Which one to choose really depends on your needs. While it’s not easy to comprehend and master all of this, you’ll be rewarded in so many ways by making the effort. 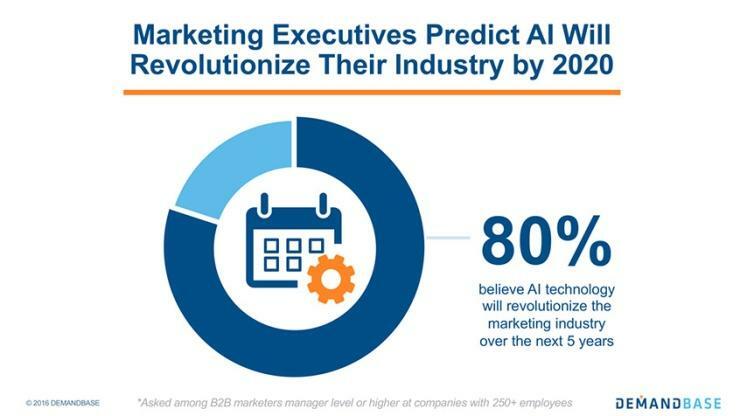 Whether you’re a marketing manager, content strategist, copywriter, professional service provider, or ecommerce website owner, AI will soon impact your business. It’s inescapable. Cut out the Hype. What Does AI Have for Me? 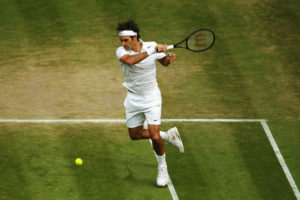 Wimbledon is All In on Marketing AI: Bold move for the All England Lawn and Tennis Club. The AELTC is taking over sole rights to broadcasting the world famous Tennis tournament from the BBC next year. Wimbledon earns 1/4 of a billion dollars per year. The improvements could generate a lot of additional revenue. AELTC is eager to explode their content development and use AI to improve audience reach, engagement and sales revenue. A few of the benefits of AI SaaS systems are to help us speed up optimization of our keyword rankings, deepen user engagement, and power up our content marketing. Yes, there’s a lot of hype to weed through, but take your time to explore from this fresh start vantage point. Enjoy the journey. 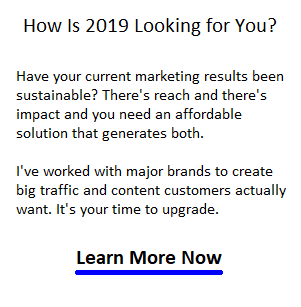 You’ll hear increasingly about the topics of artificial intelligence SEO, content marketing AI, RankBrain optimization, AI content strategy, and predictive analytics. They’ll be the next buzzwords you’ll hear about at 2018 marketing conventions. Why is AI Marketing Software and Solutions So Hot? It’s becasue a lot of website usage, purchase and customer data is available now. Even without BIG data feeds, the software can help understand users interest from their view and click behavior. That’s a very practical way to improve engagement and sales, but it won’t stop there. CMO’s are Getting Fired because they Aren’t Using AI. It may be that these AI systems are generating better results because they can handle more inputs, do more quality testing, and predict marketing and customer behavior better. Old school approaches from 10 years ago can’t compete. Marketing AI is Powerful and Optimizes Staff’s Capability. 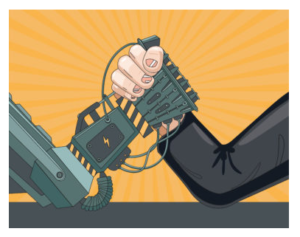 AI will remove the plague of dreary tasks we’re stuck with now, free up huge blocks of time for more advanced, creative work to achieve better results in everything from search engine rankings to social media engagement to content strategy performance. 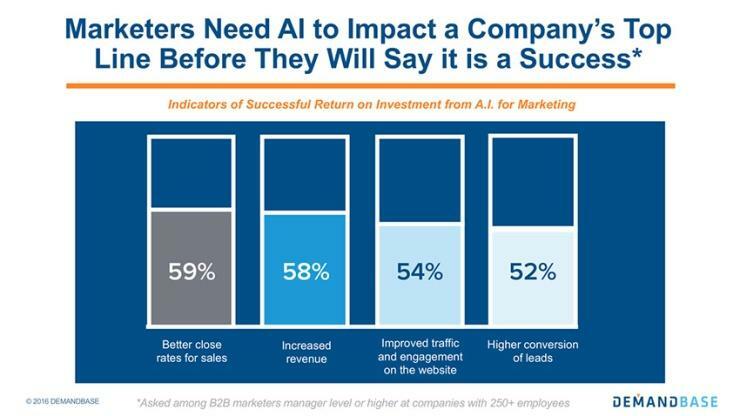 Companies that use AI Marketing tools are reporting good results. 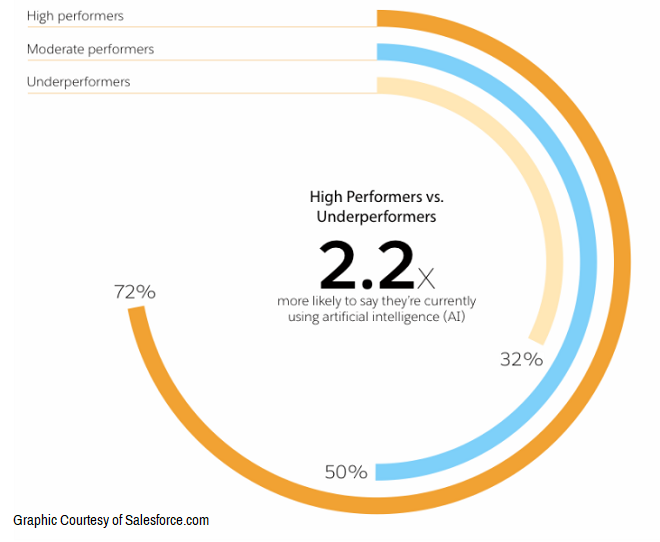 There’s no genius required to know AI systems will get better as they continually improve their performance. Apps that help us manage bulk social media posts, emails, or organize marketing spend don’t test and predict customer behavior. AI software can now process huge amounts of data, test thousands of content variables, and user engagement activities, and even predict customer behavior. And AI is just starting. What I think is so exciting about AI in marketing is that it lets us test our content and give us ways to improve it fast. Slow A/B testing is being replaced with high speed multi-variate testing to allow rocketing rates of improvement in engagement and sales. Most businesses never test content or SEO because of the time, complexity, cost and risk in doing it. With AI software, it’s just one feature in the mix. And what are some of the more obvious uses of AI? The nicest benefits to Marketing AI are its ability to test content/UVPs/channels to find what works best, and its ability to predict optimal content for each visitor. Personalization is no small benefit either. Currently, there’s no way for us to segment and serve up different content experiences and test them. AI can do this as part of its daily tasks. When we can give each visitor an optimal, personalized experience, it seems reasonable to believe we can double our current conversion rates. 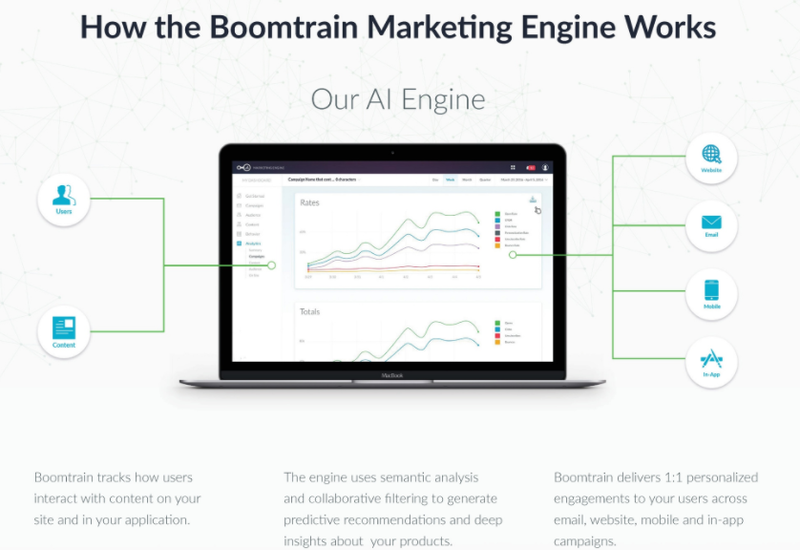 Boomtrain is an enterprise level marketing AI solution I’m learning more about now. Boomtrain was just purchased by Zeta Global showing further that AI is very hot technology. It looks like it has all the bells and whistles including the ability test and personalize the customer experience. Boomtrain’s Artificial Intelligence for Marketers System’s key value features are: user personalization, high speed A/B testing, predictive recommendations, semantic analysis, and content performance metrics. You can see how this can power up a content strategist’s capabilities. Boomtrain’s system is very complex but you could understand it in a general sense in that the customer is initially presented a variety of choices/options to attract their attention. Then AI software kicks in to customize and narrow those choices so the customer is able to pay attention and continue, rather than bouncing. It tests responses to further classify that visitor. Boomtrain says it has predictive capabilities and I’m studying that aspect now. These companies are fairly closed mouthed about their proprietary technology and data they use, so we should treat their claims with some skepticism. That means AI can help make your site sticky and thus your hard work and costs don’t go to waste. Which AI Marketing Platform Should You Choose? The choices are growing depending on what you do. If you’re a blogger trying to improve monetization of your site, Ezoic is worth a good look. If you’re an ecommerce site owner, perhaps Boomtrain can provide the best boost. If you’re looking to boost your Google rankings, then MarketBrew might be the right choice. And if you’re heavy into PPC and remarketing banner advertising, then Adgorithms might work for you. And if you’re looking to optimize your email campaigns, then Phrasee may give you the right boost.